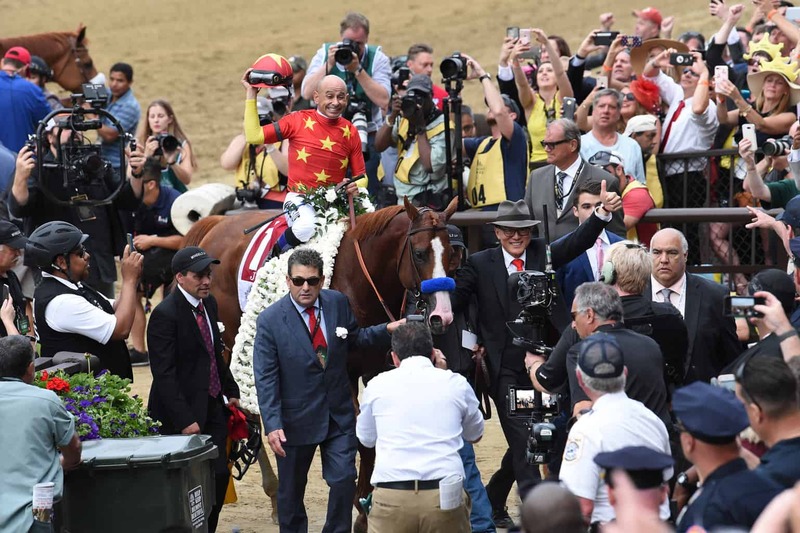 THE MODERATOR: Congratulations to all of you, the 13th Triple Crown winner, Justify. Mike Smith, of course we’d love to start with you. If you could take us through the race, and if you don’t mind, maybe start from when you came out to the paddock and include the warmup, as well. MIKE SMITH: I mean, the whole time he was just so professional. He really was. He was taking the crowd in well, all the noise in the gate. I was worried because the crowd is screaming right in front of you there. Being in the 1 hole, he was standing so good, almost too good. I was a bit worried with my gate, and he reassured me, said, we’re okay, he’s standing good, trust me, he’ll break, and he probably broke better today than he has out of the other two, to be honest with you. He left there today very, very good, which was very important. Was able to go ahead and get a comfortable lead and just let him get into that rhythm of his, which he did very well. The first quarter was just a little bit quick, but then after that he settled down and got into a great rhythm, and I just kept a leg on each side at that point and mine in the middle, and when I asked him, he dug in. To win six races in such a short amount of time like he’s just done is just an unbelievable feat on his part. Really Bob has just done a tremendous job to get this horse to do what we just got done doing. Extremely excited, very, very blessed, and I can’t tell you, this is just amazing. Q. Were you surprised not to see anyone challenging you early on? MIKE SMITH: I knew if I jumped well, he’s just faster than they are. I knew they were going to send the outside horse, Repole’s other horse — WinStar’s other horse. I knew they were going to go with a couple. Honestly, I really thought someone is going to hook me, I thought it would be Wayne’s horse, Bravazo. I knew they were going to be sneaky aggressive. I just had that feeling. He out-jumped him. Q. Bob, if we could just get your initial reaction to the race today. BOB BAFFERT: You know, all week, since the Preakness, we felt really good about this horse. He shipped in here really well. When I saw him train the first day here, he was just — he went around there like they’re supposed to go around there. He’s tipped us off from his first race. But you still have to get around there. And I knew the pace, he was going to have to ask him hard away from there and get him in there and get him going in the race. Going into the first turn, we saw those horses out there, and I saw the 23 — what is it, 23 and 3, yeah, so that was a little bit — boy, that’s fast. But he slowed it down, and I saw 48, felt a little bit better. I was looking, I was talking to Jill, my wife, the whole way, and I said if we can get about a 13.3, 13.4, we’re okay, and I think we had 13.1. And then when he made that move in the far turn, I was like, oh, Mike, oh, Mike, don’t empty that tank, Mike. But turning for home, you could just tell this horse, he just finds — the great ones, they just find another gear. I really didn’t get excited probably until the last 100 — 16th of a mile where I knew he was home free and started to really enjoy the race. But I’m just so happy for WinStar, China Horse Club, all these — they sent me this horse, Elliott Walden. Plus my team that I have back at Santa Anita, just unbelievable team, Los Alamitos and Drayden Van Dyke, who worked this horse for me, and Martin Garcia, who flew in twice to work this horse for me, really gave up a lot. I just have a great team around me, and Jimmy Barnes, he’s been through it all. To me, Abel Tasman and Hoppertunity, when they set the stage early, I thought, I think this is going to be good. I was going to bring four, but I just didn’t want to buck those odds of — like last year, but I said, I don’t know. Three is a good number. But they all ran well, and that’s all you can ask for is that your horses do well, but they still have to show up. It was just a great day, went smooth. We got up here, everything went so smooth, and everybody was having a good time, and my wife Jill got to meet Jimmy Fallon, who she loves so much. It was exciting. I felt — there were just positives — ever since the day we got here, everything was real positive. Q. Mike, to come back to you, 52 years old, can you talk about getting to parade a Triple Crown winner and what that felt like to you? MIKE SMITH: Like I was saying earlier up on stage when we were accepting the trophy, Bob has helped me achieve so many of my goals, but today, man, he made my dream come true. So it was just him and his crew and everyone who works with him — he talks about how brilliant his crew is, and then he just puts an old man out there to sit still, who stays out of the way and lets a good horse be a good horse. That’s what I do with him. At different times he wants to move at different places. So what Bob was talking about. But it’s coming to him so early, and I learned early on, don’t take away nothing that comes too easy. Then he gets into that rhythm, then he takes a breather, then he goes again. He just kept going; every time I would squeeze on him a little, he just kept going. I was confident he was going to run through the wire pretty strong. Q. Elliott, if you could start it off and just give us your impressions of today and what you’re feeling right now. ELLIOTT WALDEN: Well, grateful to have a horse like this, to have the opportunity to be here, to make history like this is an incredible feeling, and these horses just — you buy them or whatever, a horse like this just kind of happens. Bob has done a marvelous job with him. Mike has done a marvelous job with him. But we have to have the horse, and Bob made me feel pretty good leaving the paddock. I said, what did you tell Mike. He said, I told him the gas tank is full, don’t use it all at once. But just real blessed because you can’t find these horses, they find you. KENNY TROUTT: What am I thinking right now? How hot I am right now. I’m sweating. It was such a blessing, and just thinking about winning the Triple Crown, and it’s just unbelievable. And then seeing him down that stretch, I mean, I was yelling and screaming, I went crazy down that stretch. It was a great blessing. Q. Teo, the founder of the China Horse Club. Give us your thoughts on today and what you thought of the race. TEO AH KHING: Well, thank you. I think I will just keep it short and just be very thankful that, as I said in the Preakness, the Lord opens the doors, and the doors opened. We are thankful for everybody here and the media and all our friends and especially our partners that we have. We treasure them. As you know, they are about 20 of our members here watching probably at the corridor, and they are on Cloud Nine, and so am I. You know, we all heard that Triple Crown is not that easy to achieve, a short three years in America with great partners and great media supporting and reporting, and we are definitely very indebted to everybody here, and we are thankful, even five more minutes for Michael Wallace who together with Tom and Elliott identified this horse in Keeneland, and definitely, I think this effort has reinforced our belief that America is a great place to do great racing, and today is the fruit of that belief, and I’m thankful for everyone. Thank you. Q. Michael, just some quick thoughts before we open it up. What are you feeling today? MICHAEL WALLACE: No, it’s sort of surreal basically. You look back on history, and we obviously haven’t been participating here long, but to achieve something like this in such a short period of time is phenomenal. It’s been a team effort from a lot of people to get to this point, and a lot of luck. I sort of came here today thinking that we were — we’ve sort of won anyway what would be — if it was meant to happen it was meant to happen, and if it didn’t, well, we’ve still got a great horse and we’ve got a great run, but this is icing on the cake. This is something everybody will remember forever. Q. Bob, you’ve made history today winning your second Triple Crown. Has that hit you, and if so, what are you feeling winning two Triple Crowns in the span of three years? BOB BAFFERT: You know, I really didn’t think about that. I’m just so — it’s a privilege to have a horse like this. I mean, it’s — I mean, we’re like the coach, but they’re the athletes and the jockeys get it done. But to me, when you win the Derby five times, I really felt like, wow, I won the Derby. But this is more to me — I wanted to see that horse, his name up there with those greats. If they’re great, they’re going to win the Triple Crown. It takes a great horse to win the Triple Crown. To me, I’ve been through it — there was no excuses. He had to — if he was great, he’s going to do it, and that’s what it’s about. That’s why it’s so difficult. 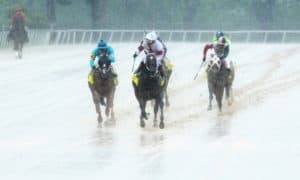 And even though he had all these races, he’s actually just starting to — to me, he’s really doing well, and then I was worried about the track because it was getting really deep today. It looked like a tiring track. But the Triple Crown winners, all I can say, they’re great. Q. I saw a couple spectators weeping in the stands, and I was surprised, and I’m wondering if any of you, for the general public, can you articulate any of the emotions that they may be feeling? BOB BAFFERT: Well, I was weeping when they interviewed me. I got very emotional, because I really think — I’m getting help upstairs. I think of my parents, I think of all the good friends I’ve lost, and I know they’re up there — I really believe in that, that they’re helping me out, they’re giving me that little push. I think things happen for a reason. If it was meant to be, it was meant to be. I knew this horse was doing well. We had him ready, but that horse, it was just — just to train a horse like that, he’s just a magnificent animal. I’m just glad that I got a chance to train a horse like that. Q. Elliott, can you comment at all about breeding rights and bonuses based on this? ELLIOTT WALDEN: No. (Laughter.) Thank you. Q. Elliott, you hadn’t had horses with Bob before; I know you kind of side-stepped the question at the Derby a little bit, but what was it that made you say, this horse is for Bob? ELLIOTT WALDEN: Well, you know, any horse is for Bob, really, and I don’t mean that — I’m not trying to duck the question. I get asked a lot how we move our horses around and why we give horses to certain trainers. I don’t — I mean, a lot of it’s just kind of a gut feel about each horse. As far as this horse goes, one of the things that I thought was important was we were behind the 8-ball. We do focus on the three-year-old classics, not that every horse we have is going to run there, but you certainly want to try to give him an opportunity. The weather in California is very consistent. He was going in to training late. I thought that was something that was a consideration. And again, he looked like a very good horse, and we tried to hire a very good trainer. Maybe the greatest of all time. Q. Bob, obviously the race I’m sure unfolded largely the way you wanted it. Was there any use of Restoring Hope is almost kind of a wing man coming out of there? How did you want to use him? 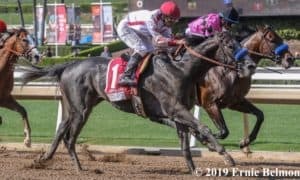 BOB BAFFERT: No, Restoring Hope, he has natural speed, and his only chance was to be up near the lead in the first wave because he’s like a one-dimensional horse. But he was getting a little — they were getting a little rank — I think they were going pretty fast. But he’s not a horse to come off the — take back. All his races were decent where he had to be up close. We were just giving him a chance. Q. Mike, you said that you thought he broke pretty alertly. On the head-on, it looked like he went almost straight left. Was that an illusion, or did he actually go left out of the gate? MIKE SMITH: He did just a little bit. The gates were set off away from the fence a little bit. He jumped to the left, but he jumped very fast to the left. He was about a half — about a neck to a head in front the first couple of jumps, so I was really happy with the way he got away from there. Q. Mike and Bob, I don’t know how much you’ve been able to see the replay or even live, which horse or horses would have been the biggest threat to him as the race unfolded? 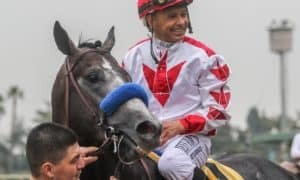 MIKE SMITH: I knew Restoring Hope was to my outside there for a little bit, and then someone else came at me, and I wasn’t sure who it was, but I was just trying to do things that were coming easy to him. A lot of times in these big turns you can do some things. I went ahead and let him move a little just to open it up so that everyone would move, as well, and chase me. Then by the time they get to me, I’d be able to give him a breather, then I’d move again and he’d move again. He’s such a good horse at that. He listens to you, so you can do things like that. Some horses just stay on or some just completely stay off. But he just listens to everything I say. Every time I want him to just take a breather, I just put my hands back down and he’d settle right back down, and if I squeeze him a little, he’ll jump right back again. We just kind of kept doing that around the last turn, and then heading for home, I just wanted to wait as long as I could before I really got — really put the pedal to the metal, and he dug back in, and I felt at that point that he would hold anybody off that was coming. MIKE SMITH: I swear I thought of that, too. I did. I said, Bob is telling me right now, don’t go to that whip yet, just keep hand riding, keep hand riding. I know what he’s saying, and then he’s telling me, now, would you just do it now. BOB BAFFERT: But as soon as — I was watching him, but as soon as when he switched leads and you could tell that the horse was starting to — but this horse, he looked — in the paddock — he walked up there to the paddock like he’d just like been there — I didn’t even school him. Jimmy asked me once, I said, I don’t want to school him. He’s just so smart. So he went up there, stood there like he’d been there, and he looked — behind the gate ready to go, he was wanting to get it done. It took forever, it seemed, to get him in the gate. But he is just one of the all-time great horses, and I’m just thankful that we were able to pull it off. You know, it was something, but it was fun. I think we just enjoyed it probably — this last week is probably, like Jimmy and I were talking like, you know what, we’re finally enjoying this one a little bit, because when we got here, it was really — but I’ll never forget, I’ve never had a horse when I unloaded him the other day, when those horses in that barn went nuts when they saw him. I’ve never seen anything like that. They just knew his presence. There’s something about him that — I knew if a horse ran with him, they’re not going to keep up — I hated to see Restoring Hope that close to him because I knew it was going to be tough on him. But here we are, and thank you, Kenny Troutt and your team. You’ve got a great team. BOB BAFFERT: And by the way, they found this horse, he didn’t find them. Q. I’m sure the adrenaline is running through you now, and in three years you have two Triple Crown runners you have trained. How would you compare American Pharoah to Justify? BOB BAFFERT: Yeah, it was like — American Pharoah was — I’ve had some really great horses. We had Point Given, I really thought he could have easily been here. 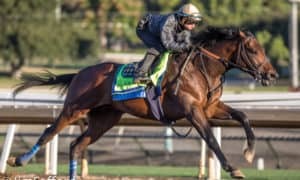 Horses like that that were — the durability — that’s the thing, and that’s one thing this horse has, American Pharoah has, is not only are they brilliant, they’re fast, but they’re durable, and they have to be taken — this horse was like, you could tell he’s getting better. But they’re two different types. It’s like comparing your kids, which one is faster. But you know, Pharoah was my first Triple Crown winner. I’ve been going through it — I would have won it before but my buddy Elliott here cost me one of them. I remember they had me in here like somebody had died, and they were — they held the winners out there so they could talk to me like we got beat; Victory Gallop, he beat us, and that’s it. But it’s one of those things where — I don’t have to really compare them because if they make this wall, that’s all you need to say. Q. Mike and Elliott, a moment ago Bob said that Justify is now one of the all-time greats, and I’d like to get your reaction to that and how you feel he stacks up against the greatest American thoroughbreds based on what he’s done this year. MIKE SMITH: Are you asking me? I think he’s the greatest of all time. I just won the Triple Crown, man. (Laughter.) He’s my champion. 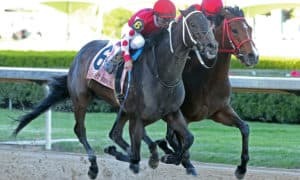 ELLIOTT WALDEN: Yeah, just Bob and I have kind of joked about ’98 when after the fact, and I’ve said it, that Real Quiet didn’t belong, not because he wasn’t a really good horse, but he just wasn’t a Triple Crown winner because Victory Gallop beat him, and Victory Gallop was a good horse. A lot of good horses we’ve been blessed with, but to be great, to be a Triple Crown winner, it takes something special. It’s like — I was looking at Justify’s PP’s the other day. I was looking at a speed sheet, and man, those races were close together. And I’m like, I hope it doesn’t get to him. Six races since February, I don’t know what’s going to happen when he gets a little break here and we come back in the late summer. Q. Mike, can you compare his stamina level of today compared to the Preakness? 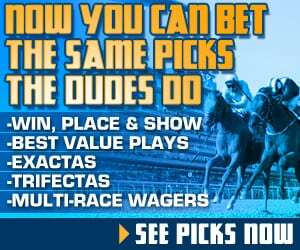 BOB BAFFERT: Are you talking about the Preakness, it wasn’t as close as you made it? MIKE SMITH: It was a bit my fault that it was as close as it was. It was me and Good Magic just kind of going at each other and he was carrying me out and carrying me out, and once I felt I had him, I started thinking about this a little bit, not wanting to do too much. I could have come off the turn really riding him and made that race look a whole lot better than what it probably did. By no means did I think Bravazo was going to literally come out of the clouds like he did; I thought I had put everybody away, and I peeked under my arm, and you couldn’t see a whole lot, but I thought I had him there. The wire was close enough that we were okay. You guys couldn’t see when we ran back into the fog when Bravazo got next to him and someone tried to high-five me; he took off again and wasn’t about to let someone pass him. I knew we were all right, and I cut it just a little bit too close, but it worked out. Q. Bob, about an hour after this race, how are the thoughts, emotions, feelings you’re going through different than it was three years ago? BOB BAFFERT: With American Pharoah, it just looked like it wasn’t going to happen. 37 years, and you come up here, and I’d been through it, and I just felt more pressure because I felt — look, the Lord has given me another crack at it. I got this great horse, everything is running smooth. But he still has to do it, and then when he finally did it, I was like, everybody else, I was just in awe of it. It was like, I don’t think — I never even cheered for the horse. I was just sort of in shock seeing him do it, and then we did it. So it was different. So when we came with this horse, when he won his second out, I was like thinking, I think this is a Derby horse. He could be a Triple Crown horse, man, I’ll get another shot. But he just showed us that raw talent was there. When he broke his maiden before he ran, and then his second out, Mike rode him, and then the Santa Anita Derby, and he just — I’m telling you, the raw talent is there, and he’s doing it — like he’s just — he’s a walk-on. He just came on there, and he broke every curse there was. But it was just — it was meant to be. You know, I meant to get this horse, they were meant to buy him. Everything to me is meant to be. Q. Elliott, you did mention there the possibility of more of a campaign after a break. Can you just address that? ELLIOTT WALDEN: Well, just looking forward to — we’re going to enjoy today and not really think about it, but he’s done a lot in a short period of time, so it’s going to be up to Bob what happens now. But looking forward to — can’t wait to get him back out there. But we’re going to do right by him, and I’m sure Bob knows how to get him ready, and we’ll wait on that. Q. Mike, after the Preakness, you said early in your career maybe you weren’t ready for this. Now at 52 to win a Triple Crown, it’s a pretty small group of jockeys. 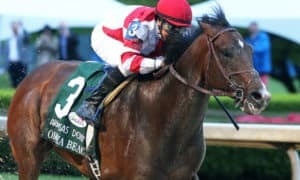 What does that mean to you to be in that select group of Triple Crown winners, and now at your age, why did you say that you weren’t ready earlier? MIKE SMITH: There’s a lot of pressure. I don’t know if you know that or not, but it’s a little hectic. I mean, I’ve certainly ridden some good horses that I thought could maybe win the Derby, they didn’t win the Derby. One won the Preakness and I’ve been blessed to win the Belmont a few times, but God gives you things when you’re ready to handle them, and I think it took this long, but I was ready because I’m telling you, I felt good all day long. I honestly did. I even took a nap. I really did. I felt great, and that probably wouldn’t have happened 10 years ago or 20 years ago. I’d have been probably running through a wall or something. But anyway, just experience-wise, knowing what I got underneath me and knowing how Bob has trained him, just all the little things that you learn through time. Might not have been ready back then. Evidently I wasn’t. I haven’t even been close. Q. 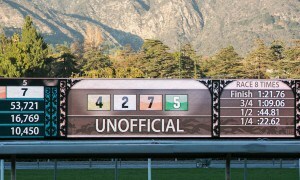 This is the first time that any Chinese money or Chinese organization involved in America’s horse industry has won big. My question would be addressed to the Chinese market because the government is trying to open up the market in Hainan to expand whether into entertainment or towards — and horse racing is one of them. If you don’t mind, maybe talk more, are there going to be more collaborations towards Chinese markets down the road, and what this winning means for Chinese as a premature market, international position? ELLIOTT WALDEN: Well, we are very blessed to have China Horse Club as a partner in a very short amount of time. 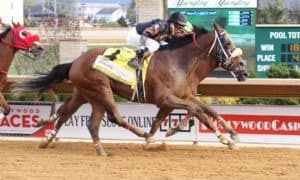 I think Michael Wallace and Teo deserve — it’s phenomenal to win a Kentucky Oaks with Abel Tasman in the second year of operation and to win a Triple Crown in their third year. It’s amazing. I asked Teo, kind of joked with him after the Preakness, and I said, are you sure you want to change these silks for the Triple Crown? Listen, that’s a lot of pressure. Teo said, I can handle the pressure. He dreams big, and we dream big, so it’s a great partnership. 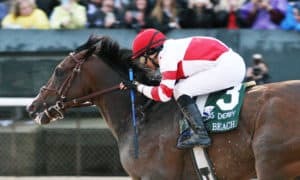 So whatever comes out of that from any kind of opportunities, we’re all for, but I know that Teo is a visionary and the world is open to — it’s great that this horse is run in China Horse Club silks today because I think it’s a great opportunity for the world to see, for China to see what can happen in America. BOB BAFFERT: By the way, nobody has asked me about Hoppertunity. Q. Do you guys have any plans (indiscernible)? BOB BAFFERT: I’m going to hire Teo as my agent in China and we’re going to do commercials or something. Q. Elliott and Kenny, who named this horse and why? ELLIOTT WALDEN: Amy Nave helps me with names, and we do — she does a remarkable job because we have 30 to name each year, and we look for strong names that can be stallion kind of names. We’ve had Commissioner, Creator, Constitution, strong names. So Justify, we also have had Good Samaritan, and a lot of times we use biblical names, and Justify is a term in Romans 9 and 10, talks about being justified by faith, and it was a name that was available, and we looked for that as a great opportunity. Blessed that this horse has a great name. Q. I wanted to ask one more time about why the general public should care about this. 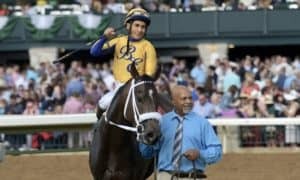 Justify was classed or cast as an underdog. Do you think that resonates with the general public? ELLIOTT WALDEN: Run that one more time? Q. I’m trying to think why the general public should care about a horse like Justify. He was cast as an underdog, and I’m wondering if that at all resonated with the general public. ELLIOTT WALDEN: I’m not sure he was an underdog. He was a 3:5 favorite, he was undefeated and was just a remarkable horse from the start. BOB BAFFERT: I think what the public — they fell in love — he is one of the most beautiful horses you’ll ever — he is a beautiful horse, big, Chestnut. I mean, we’re all — every trainer, we’re trying to get — Big Red, Secretariat, he set the bar and we’re trying to get there, and I think people love these horses. They love — they enjoy running. They love competing, and they just — it’s just natural. But I think everybody wants to see this happen because he’s such a — he’s a wonderful horse, and he’s just — it’s like pass me to win. He’s just so tough, and he’s just an imposing horse. Q. What time at the barn tomorrow? BOB BAFFERT: I’ll be there at 4:30. I’m not going to sleep. No, we’ll be there — we’re supposed to fly out tomorrow, but I don’t know about that. I might have to — Bode and I might have to skip another day there. No, we’ll be there early, at least 7:00, 7:30, whenever. Todd Pletcher, trainer of Vino Rosso (No. 8, fourth) and Noble Indy (No. 9, 10th): “I thought Vino Rosso ran well. Johnny [Velazquez] felt like he needed to move a little earlier than he really wanted to because there were pretty soft fractions up front. He felt like if he was going to have any chance he had to go a little sooner than he wanted to and thought that may have compromised his finish a little bit. Leandro Mora, assistant to Doug O’Neill, trainer of Blended Citizen (No.10, ninth): “You know when I saw where he was early I knew things were different. Kyle said he was very keyed up. That if he let him go he probably would have been right there with Justify or farther, and that wasn’t out plan. I think the people, and the noise got to him. He was a little nervous in the paddock.